Are you in need of furnace repair and care in Spring TX? Go Admiral can offer you the best possible service, and we can offer you these blogs as well! In this one, we will discuss the inner workings of your household furnace and what to do in case of an emergency. We know it’s still April, but don’t extend yourself to the last minute. Have your furnace up and running before winter comes back around. It will return sooner than you think it will. A furnace is your gas-powered central heating system. It heats the air and distributes it throughout the building via vents. This might also simply be called your heater. It has a control system (comprised of your thermostat and electrical controls), gas valve, burners, heat exchanger, blower, and duct and ventilation system. Your furnace will start after receiving a signal from the thermostat. It will then begin to heat your environment to your chosen temperature. Pretty straightforward, right? Now, any system which depends on electrical heating can bring about dire consequences in the case of malfunction. If you think your furnace may be broken but aren’t sure how, you can’t afford to leave it alone. While it simply may not heat, it could also start leaking or have electrical issues. It is very important that you contact Go Admiral if you are encountering problems with your furnace immediately. How Can Go Admiral Help? 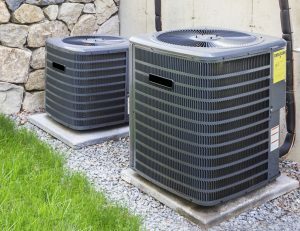 Furthermore, if you are in Spring, TX, and your home or business has recently been visited by one of our competitors, we offer a free second opinion. If you feel your prior visitor wasn’t thorough enough in evaluating your HVAC system, let us take a look at it! Go Admiral promises your satisfaction with our service. Here is a list of all the services we offer. We service various brands including RUUD®, Lennox®, Goodman®, and Trane® — just to name a few. Competitively priced Service Contracts that will allow us to keep your residential heating and cooling system in tip-top-shape year-round. Is your need listed above? Great! Don’t hesitate to contact us, especially if you are having problems with your furnace and need a quick fix. Go Admiral has been serving the Houston area since 1990. They are highly qualified and committed to spoiling you with service. We not only offer great commercial services but service homes and offer emergency services as well. You can’t go wrong with Go Admiral at your side. Your furnace can’t wait. Get in contact with us today! If you’d like to contact us, you can fill out a contact form here or call us at our Spring location at this number (281) 876-9400. Thank you for your time. Now you know where to get furnace repair and care in Spring TX!